A Grove City man whose guilty plea was vacated due to a court error has now accepted a mandatory prison sentence for causing a car accident while under the influence of drugs that injured a local man. Weston E. Porter, 27, had already plead guilty to aggravated vehicular assault April 10 in the Fayette County Court of Common Pleas. The court notified Porter just prior to his scheduled sentencing hearing May 22 that the court made an error by not telling him that the prison sentence he faced was mandatory. Court records show an Order Vacating Plea and Setting New Trial was filed instead of a sentencing agreement. The order set new trial dates in the case, but Porter agreed to settle the case and accept a sentence before the case could go to trial in July. Porter re-entered a guilty plea June 5 to aggravated vehicular assault, a third-degree felony, driving under suspension, a misdemeanor of the first degree, and no contest to right-of-way, a minor misdemeanor. He was sentenced July 10 to a two-year mandatory prison term. In addition, a five-year class three driver’s license suspension was imposed and Porter was ordered to pay the costs of prosecution, $634, and $44,894.85 in restitution to the victim of the car accident who sustained life-threatening injuries and was med-flighted to the Ohio State University Wexner Medical Center in Columbus. Porter was indicted last year by a Fayette County grand jury after he ran a stop sign Dec. 13, 2015, and hit a truck in the intersection of State Route 753 and Bogus Road in Wayne Township. According to reports, Porter was driving under the influence at the time of the crash and was later positive for benzodoazepines, opiates and cocaine in blood tests. The driver of the truck, identified as David Shoemaker of Washington C.H., was not restrained by a safety belt, reports said, and suffered thoracic spine fractures and several rib fractures. Both Porter and the driver of the truck were taken to the Fayette County Memorial Hospital emergency room. Shoemaker’s condition was stabilized in the ICU and he was med-flighted to the medical center in Columbus for further treatment. Ohio Medical Transportation company of Newark later filed a civil suit Nov. 8, 2016 against Shoemaker for the cost of his $44,894.84 emergency med-flight. The civil division of the Fayette County Court of Common Pleas granted judgment to the company for the cost of the med-flight and is now collecting payments from Shoemaker through wage garnishment ordered in March. As for Porter, records in the case file indicate that following the accident he later went through drug treatment, was placed on the Vivitrol shot, and was negative for substances in drug screens throughout treatment. 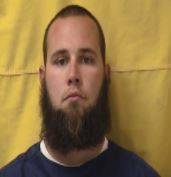 Porter is currently incarcerated at Correctional Reception Center in Orient, Ohio, according to the Ohio Department of Rehabilitation and Correction.